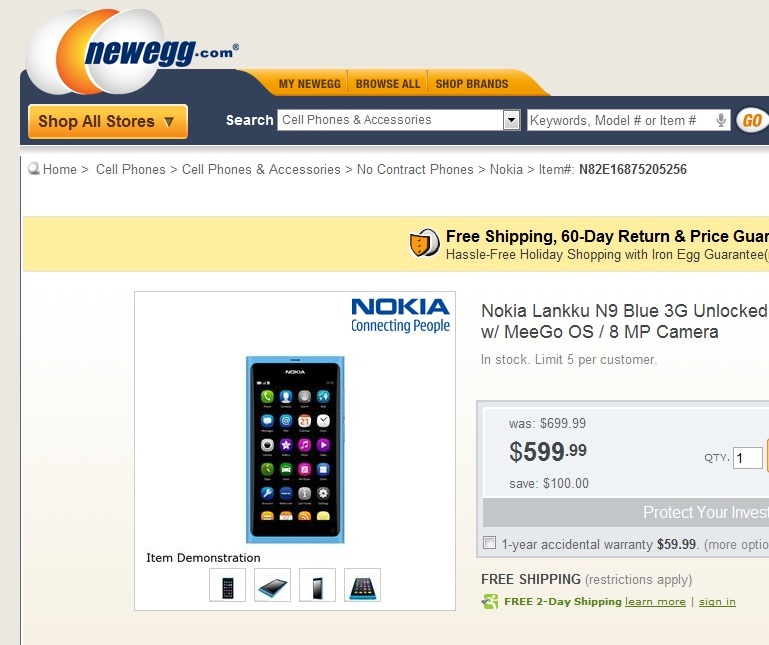 Popular online US electronics retailer, and California based Newegg, have the Nokia N9 for sale. This is now one of a growing number of third party retailers selling the Nokia N9 in the US. The price here is 599.99 USD, down from 699.99 USD and this particular blue N9 is cheaper than the black and pink N9. You’ve even got the option for 1 year ACCIDENTAL warranty. Thanks for the tip, Viper!